We had some cold weather, which creates some issues, but overall it wasn't bad at all, and does provide some beauty. We saw a bit of irony in this pic taken yesterday going up the Slate Gap Hill. 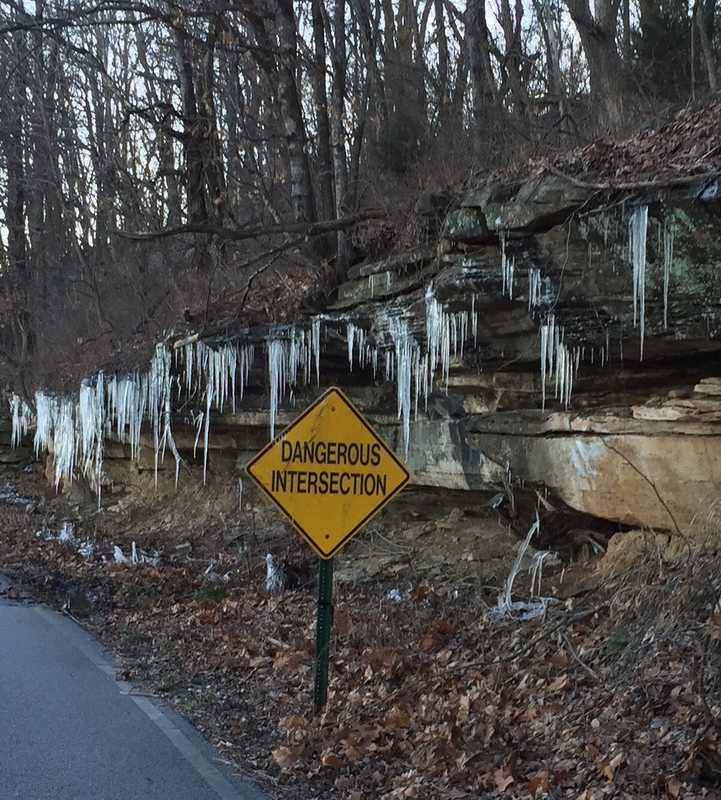 The icicles almost looked like monster teeth coming out of the cliff, and the sign made us snicker.